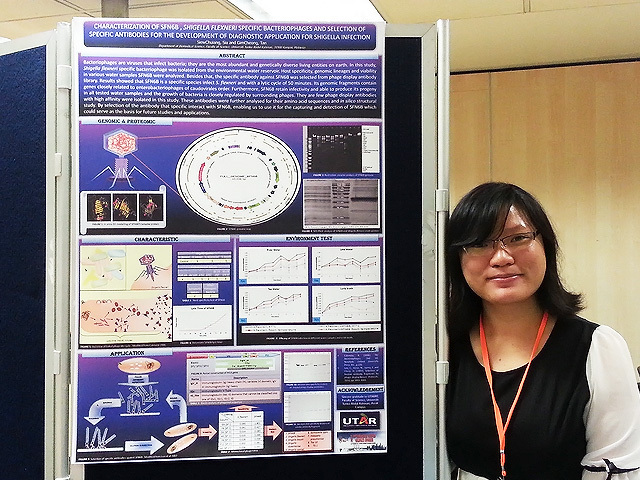 UTAR Master of Science student Sia Siew Chuiang clinched the Best Poster Award in the 19th Biological Sciences Graduate Congress (BSGC) held at National University of Singapore (NUS), Singapore from 12 to 14 December 2014. Sia won the Best Poster Award in the Cell, Molecular and Development Biology category for her presentation titled ‘Characterisation of SFN6B Shigella flexneri specific bacteriophages and selection of specific antibodies for the development of diagnostic application for Shigella infection.’ She received a certificate and an NUS souvenir for winning the Best Poster Award. Sia’s project aimed to isolate Shigella flexneri specific bacteriophage, SFN6B from the environmental water reservoir and analyse the host specificity, genomic lineages and viability in the various water samples of SFN6B. The selection of the antibody that specifically interacts with SFN6B enables it to be used for the capturing and detection of SFN6B which could serve as the basis for future studies and application. “I am glad that my poster presentation attracted the interest of the researchers and judges at the Congress,” said Sia. Apart from thanking her family members and friends for their support and encouragement, she also expressed her gratitude to her supervisor, Dr Tan Gim Cheong, for his patience and dedication in supervising and correcting her project. 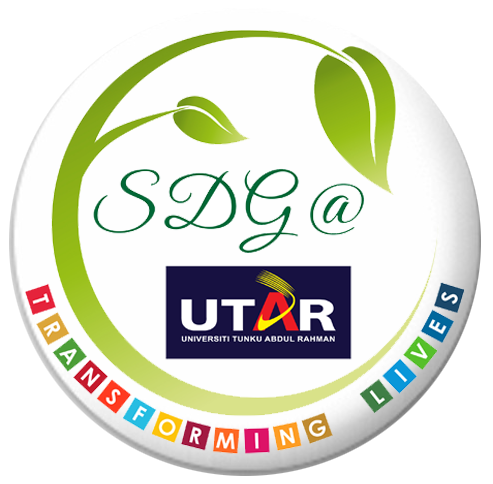 BSGC is an annual congress that provides the platform for graduate students and delegates from universities in South East Asia to exchange ideas and present the latest findings from their research. The Congress also builds bridges to establish future collaborations among young scientists.